Dinnertime is a wonderful opportunity to reconnect with your children after a long day. At the same time, small kids often come to the dinner table tired and may struggle to participate in a typical conversation. One way to help your children engage over dinner is playing family games at dinnertime. These simple games don’t require any preparation or special supplies. Instead, you can create memories and laugh together by simply using your imagination. Named for the exciting and unexpected plot points that “pop” up, popcorn stories are told a line at a time. Begin by having one person tell the first line of a story. After just one sentence, the person beside them progresses the tale by adding another line. Continue telling the story one line at a time as you proceed around the table. Children’s personalities certainly come through in this game, as each adds their own characters, plot twists, and exciting situations to the story. A classic favorite, 20 Questions is a guessing game. To play, one person chooses a person, place, or thing that all the players would know. Keeping this choice secret, the player answers questions from everyone else. The goal is to discover the person, place, or thing within 20 questions. This game can be challenging with small children because they do not tend to be strategic with their questions. As an alternative, try playing 20 Clues, where the person who chooses the word to be guessed gives clues until another player can guess its identity. While this game is typically played with older children or adults, it is easily adapted to small children. Simply choose topics that your children can relate to and run with them. Choices like “would you rather ride a roller coaster or climb a mountain?” or “would you rather fly in an airplane or ride on a train?” are sure to be a hit with your kids. They may even inspire longer conversations about future plans. You can also easily change this game to suit your child’s interests and proclivities. If your children love to be silly, you can ask if they’d rather be a hippo or a unicorn. Or if they love history, ask them to choose between two historical characters to meet. With great educational value, this game teaches decision making and weighing options while also encouraging family togetherness and interaction. An extremely simple game, this is a favorite of kids of all ages. It also gives you an opportunity to learn more about your child. The game simply involves each person asking everyone else at the table to name their favorite in a category. The category possibilities are endless, but some ideas include a favorite movie, book, dessert, place to visit, car, holiday, color, shirt, room in your home, and day of the week. And that’s only scratching the surface! After everyone has given their answer in a category, another player chooses a new category to begin. You may be surprised to learn some of your child’s answers! And this is also a wonderful way for your child to learn more about you as well. Family togetherness does not always come easily. 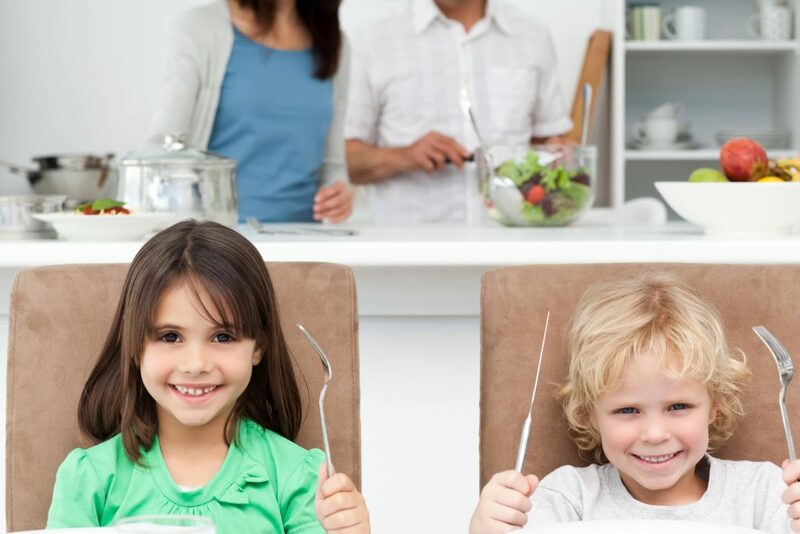 Additionally, mealtimes with small children can be stressful rather than bonding or relaxing. Playing these simple family games at the dinner table gives you the opportunity to connect and hold your children’s attention throughout the mealtime. At the same time, they inspire learning, conversation, and imagination. Are you looking for childcare that encourages similar values? Consider Legacy Academy Snellville. Our centers are full of creativity and structure to help every child succeed.